In recent years, we changed a lot the proportion of Muscat d’Alsace and Ottonel in this vineyard. Previously, the Ottonel was dominant and now we do favour the Muscat d’Alsace, more adapted to our warmer climate. The Muscat d’Alsace is also called ‘petits grains’ and it is the same Muscat which is used in the South of France. 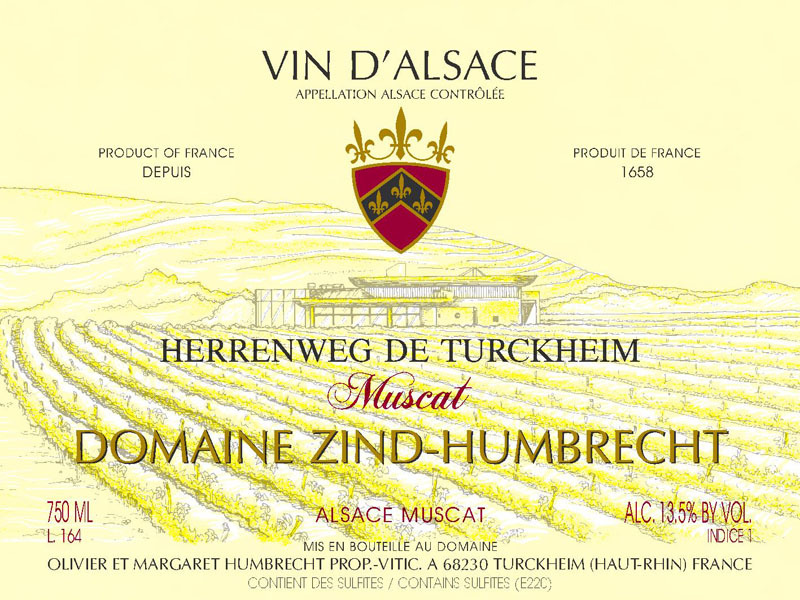 The Muscat d’Alsace ripens slower, keeps a better acidity/structure and is more complex than the Ottonel. However, if not planted in a good site and harvested at perfect physiological ripeness, it can develop some green character. It is also much less sensitive to cold temperatures during the flowering, so in 2010, we were still able to make some Muscat despite the fact the Ottonel had a lot of ‘coulure’. The 2010 fermented over a year but in two distinctive motions. At the end of winter, there was still a lot of sugar in the wine, but the following spring the fermentation started again and the wine finished dry. 3/2012: the nose shows almost more mineral quality than the usual floral Muscat aromas, which are very discreet and elegant at this early stage. The palate is dry, shows nice acidity and freshness, with a structured finish that is more of a Riesling than Muscat. This will be the perfect wine with white asparagus!